It’s been so long since the official Twitter account of Love Live! 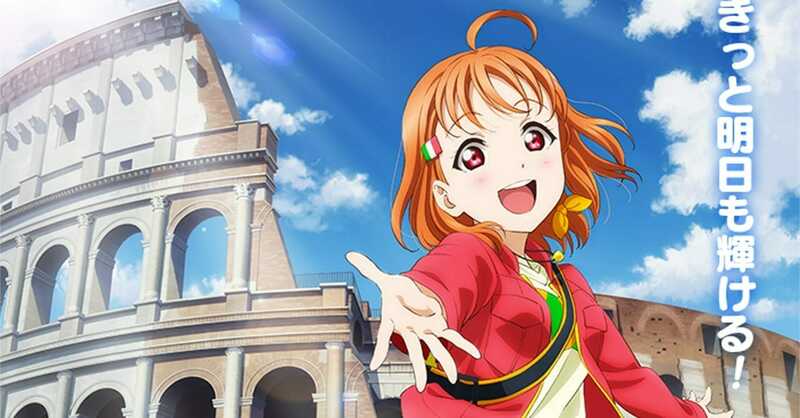 franchise announced the Love Live! Sunshine!! anime movie. Just recently the anime’s official website announced the premiere dates for Southeast Asia region and fans would be able to watch the movie from February to April. Love Live! Sunshine!! Anime Movie Details and Premiere Dates for SEA Revealed! Aqours reigned over them all in Love Live, the last one they would be representing Uranohoshi Girls’ High School in. Its first- and second-year students are now preparing for life at their new school – only to face a litany of unexpected trouble! Most alarming of all, the third-year students have set off on a graduation trip – only to go missing! As the group’s members drift apart, they quickly realize just how much they meant to each other. What will Aqours do to compel themselves to take that next step forward? The shine they’ve seeked is just ahead, in this inspiring live-entertainment movie dedicated to everyone taking flight toward a new future! Animation Production – SUNRISE Inc. The movie is already aired in Japan on January 4, 2019, and earned 98,963,900 yen (about US$911,690) in its first three days at the box office. The film ranked at #7 for earnings from January 4-6 but ranked at #8 in terms of tickets sold during the January 5-6 weekend. Tags: AnimeAnime MovieLove Live! Sunshine! !Love Live! Sunshine!! Anime MovieLove Live! Sunshine!! The School Idol Movie Over The RainbowMangaSunshine inc.